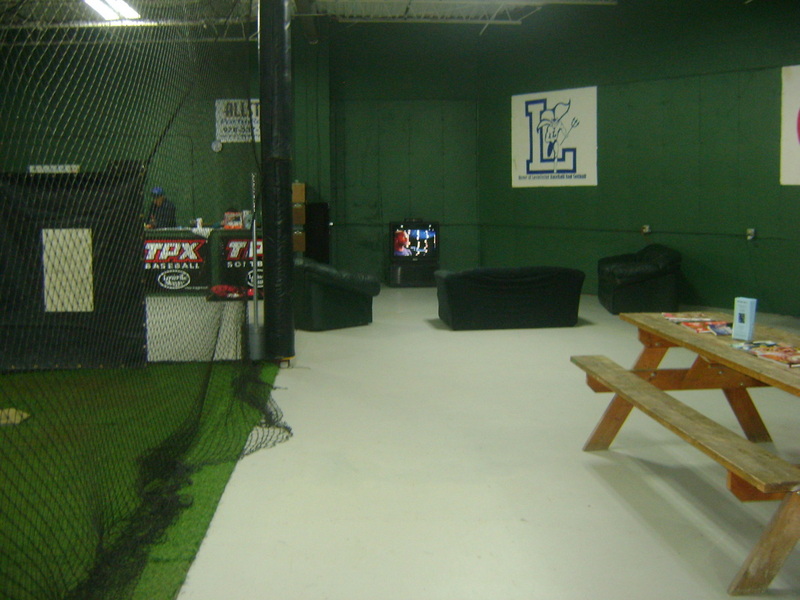 Our facility is one of the best in the area and family orientated. 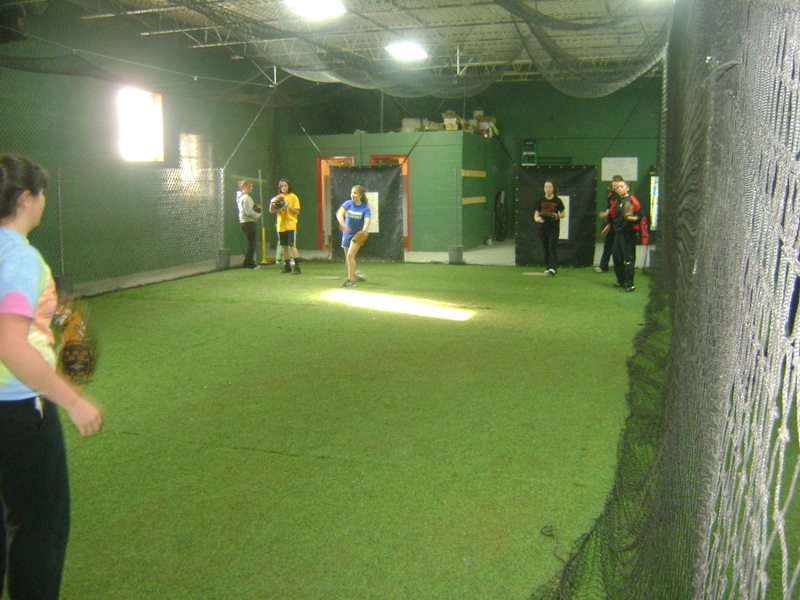 It consists of 6 tunnels, of which 3 open up into one big area and is utilized for fielding drills along with our speed/agility drills. 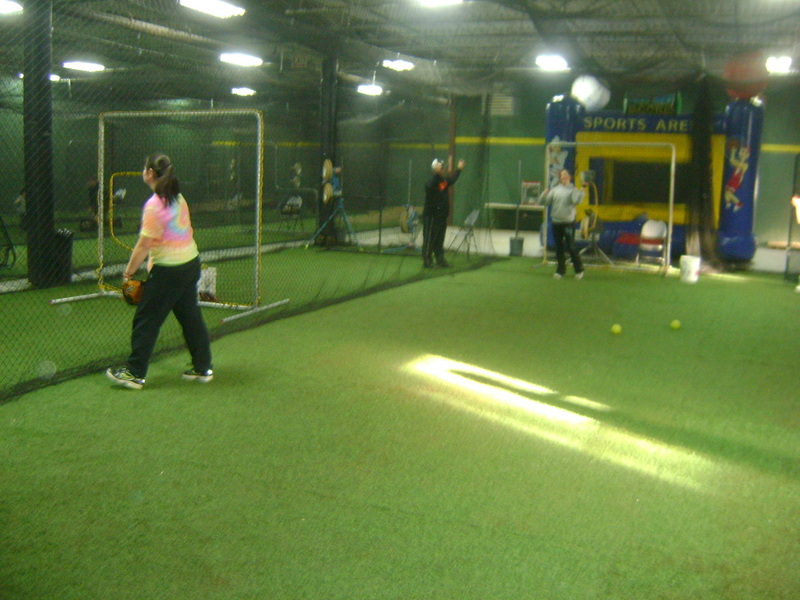 2 of our tunnels have real pitching mounds with the raised baseball mound and a flat softball mound in front of it. In those tunnels there are home plates at each distance (Softball, Little League, Big Diamond). 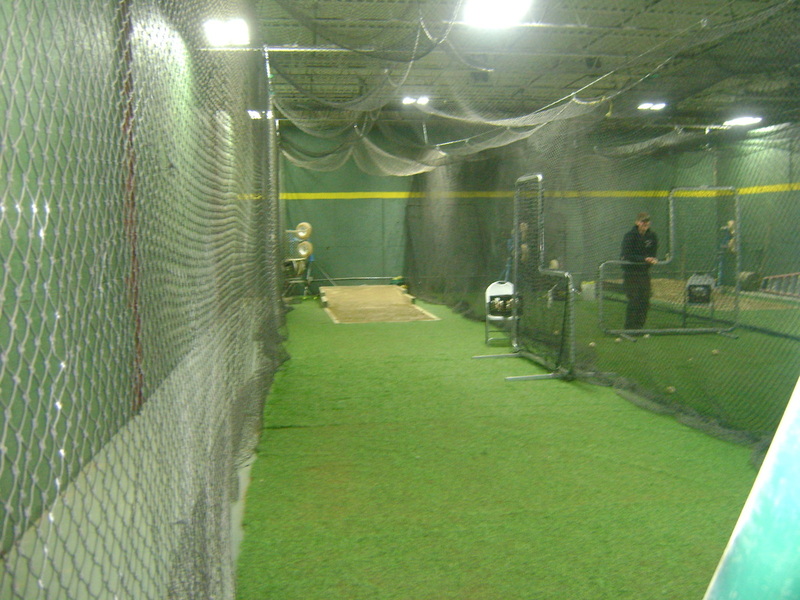 All of the tunnels have a turf carpet and a tee in each cage. 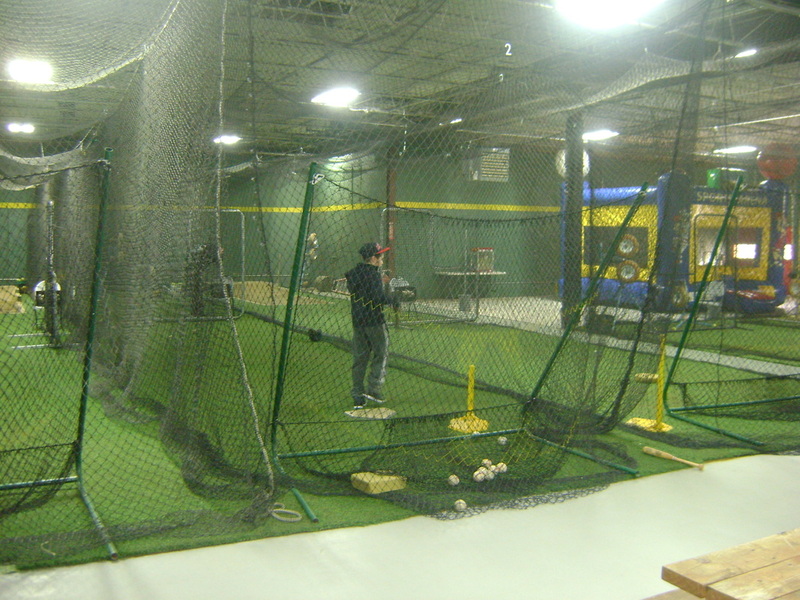 For those of you who like to rent cage time, we have pitching machines in which we will set up for you, if you ask for one at the time of booking your cage. 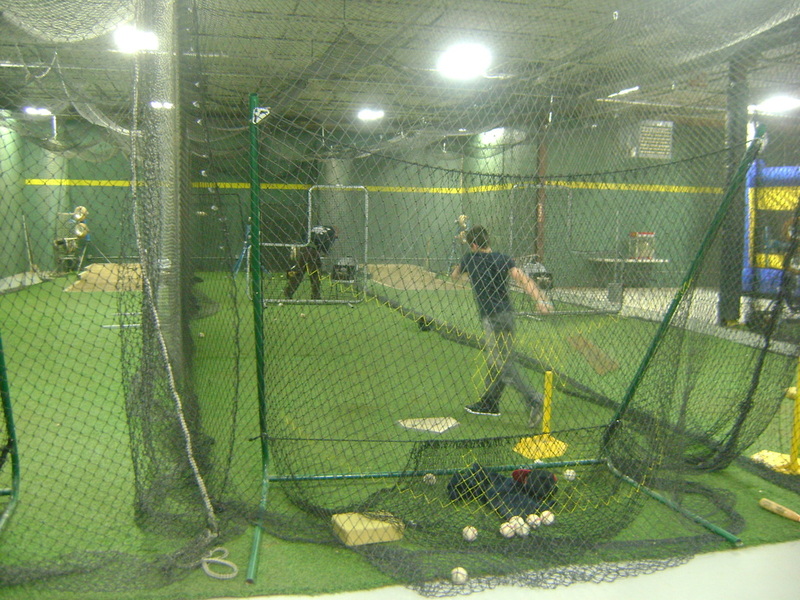 Each cage also has an L screen for protection with baseballs and softballs. 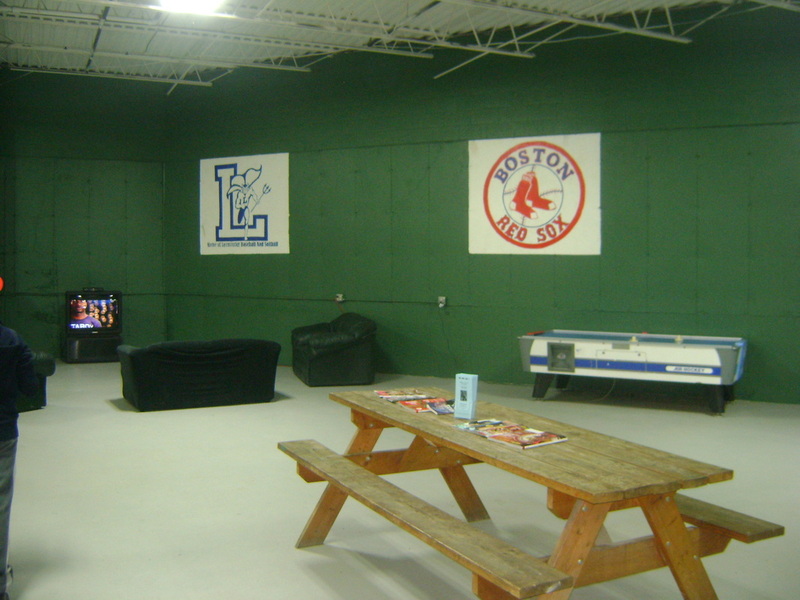 We also have a flat screen TV lounge area for parents as well, while their son/daughter workout. Drinks and chips are always here for sale. 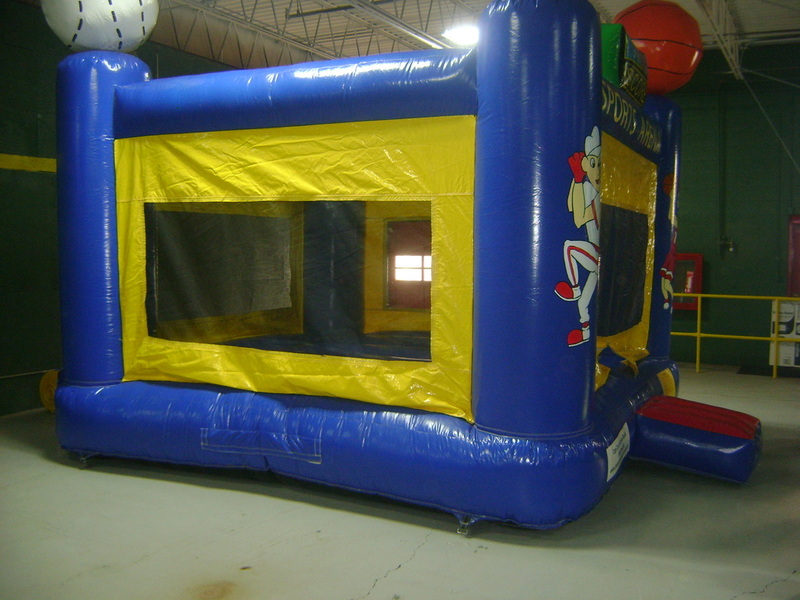 We also have a basketball hoop and inflatable jumpy for siblings to enjoy as well.